Given that it’s the most commonly diagnosed cancer in women, concern about breast cancer lurks in the minds of many middle-aged and older women. As such, over 39 million mammograms are performed annually, according to the Food and Drug Administration, and a new study in the journal Cancer confirms the enormous number of lives that have been saved by using mammography to screen for breast cancer. In fact, it’s been estimated that more than ½ million deaths from breast cancer have been prevented over the last 30 years because of mammography. So raise a glass to some good news and read more here. But mammogram screening is not without controversy. In some cases, the risk of a mammogram (which could include giving a patient a false positive reading and potentially overtreatment) could outweigh the benefits. Recently, the American College of Physicians (ACP) published new breast cancer screening guidelines for women of “average risk” of breast cancer. Average risk includes women with no history of breast cancer, no previous breast lesions, no genetic mutations and no history of chest radiation as a child. For women considered to be of “average risk,” the guidelines break down by age how often a mammogram is recommended, and the ACP also provides questions for each woman to discuss with her physician. So put your doctor on speed dial and take a look at the guidelines and questions here. One further development concerning mammography has been the recent announcement by the FDA that it’s updating its regulations regarding mammography standards to include the requirement that facilities report to women additional information about their breast density after each mammography screening. Dense breasts can interfere with the interpretation of a mammogram and may even put you at greater risk for breast cancer. 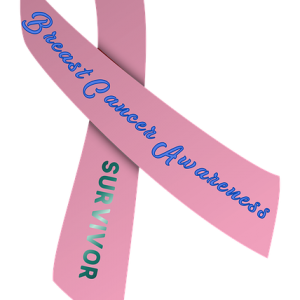 However, this type of information is not without controversy either, as it’s thought that about ½ of women over 40 have dense breast tissue but not all have the same risk of cancer. The question is whether this additional information will be of value, or confusion, to women. Want to know more? Take a look here.